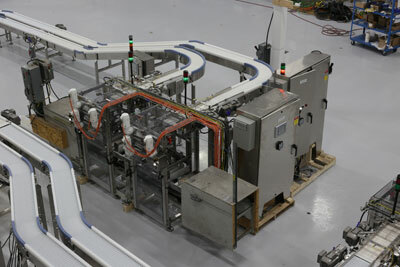 Kraken Automation designs and manufactures conveyors and conveying systems for any packaging or process application. 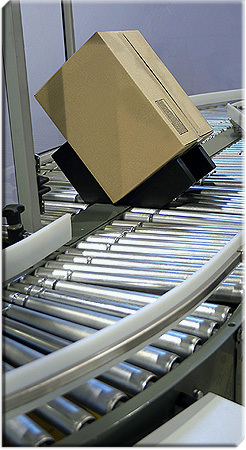 We are dedicated to the pursuit of the latest material handling innovations. Our objective – like yours – is to convey product gently, without damage, while doggedly pursuing maximum throughput and zero loss. Our conveyors can be supplied as standalone pieces or installed as fully integrated, integral portions of an automated manufacturing system, augmented by transfers, merging systems, primary/secondary/tertiary packaging equipment, or other custom Kraken innovations. Each conveyor solution is configured into a distributed or centralized control architecture, with modular pre-wired options available. Kraken designs and manufactures conveyor solutions of any size, from small belt conveyors for vial and gum packets to large pallet conveyor systems. Our long association with automated conveyor systems allows us to offer you rapid turn-around delivery time to your facility. Yes, we can meet your timeline. 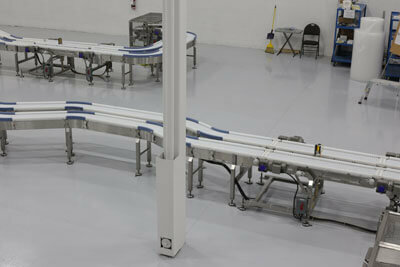 Kraken will work with your automated conveyor systems requirements.